I have a terrible confession. I don’t have dental insurance and because of this, I rarely go to the dentist. What a POOR example I am for my children! UGH – I know. You don’t have to tell me. But what I DO have is a family tree filled with people who never get cavities. I am always clear and clean as a whistle. It’s genetics, folks. I really do believe that. I thought that because I didn’t have any cavities I could avoid my annual cleanings because I take care of myself at home. That was my first HUGE MISTAKE. My cleaning took almost 2 hours. The front of my teeth were FINE. It was the BACK OF MY TEETH OH MY GOD. I almost fell off my chair. Don’t want to get into the details, but it wasn’t pretty. Let’s just say that. I had no idea. Now that all three kids are in school, I decided this year would be the year that I headed back. When was the last time I sat in a dentist chair? I’m glad you asked – 2006. Yes, you read that correctly. I haven’t been to the dentist in 10 years. FOR SHAME. And disgusting now that I know what they found. 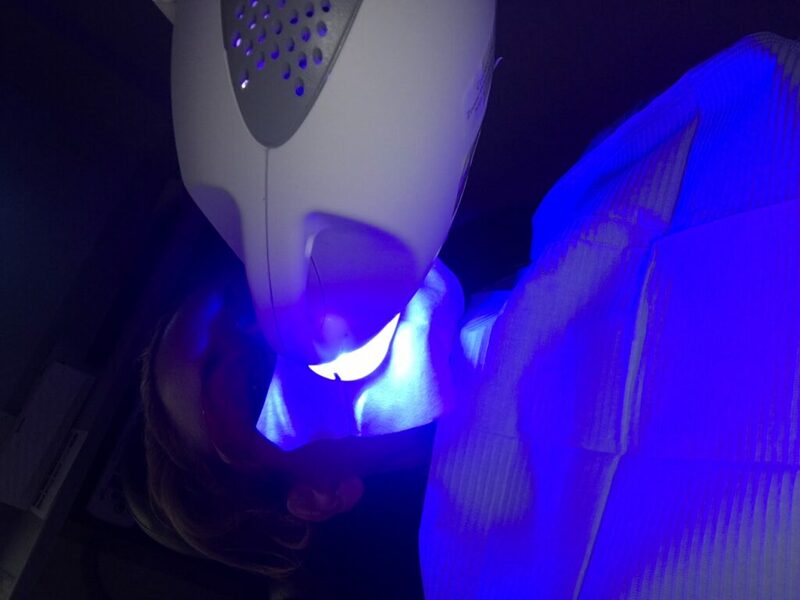 Without insurance, I decided to find a Groupon to help minimize the cost and ended up finding a cleaning, X-rays and a ZOOM whitening treatment for around $120. I thought that was an incredible deal. I bought it and made my appointment. WOO HOO. After my MASSIVE cleaning, I then moved right into the Zoom Whitening portion of the day. On Facebook today, while discussing the ordeal with my friends, many told me that you should never do whitening right after a cleaning. Your teeth are too exposed. They will be too sensitive. I can attest to that fact. 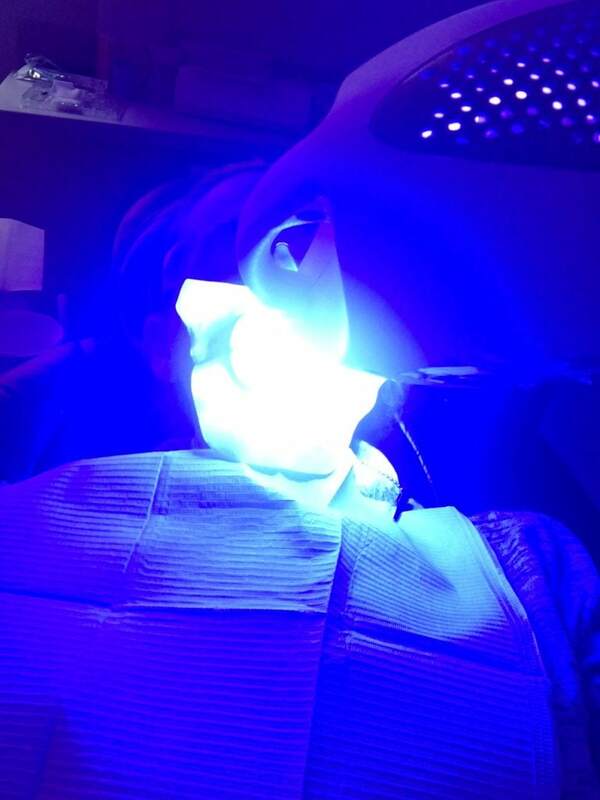 I was in SUCH PAIN during the Zoom treatment that I was literally pushing the equipment away from my face. What should have taken 60 minutes probably took double the time. I couldn’t handle the sensations. It felt like little ZINGS that started in my teeth and worked their way down my mouth and into my body. They were horrifically painful. The nurse told me that it was my teeth accepting the whitening agents into the enamel… but I think it was nerve damage. I don’t know? Again – while speaking to friends on Facebook, almost a DOZEN told me that they felt the same pain while doing ZOOM. They said the ZINGS were normal and to expect them to continue for several more days. In fact, one dentist friend told me it could last up to two months. WHAT?! Why didn’t I know this? Because I didn’t ask anyone and because I just went in and did the treatment on my own. WAH! End results? I was able to do 45 minutes of my Zoom treatment in one way or the other. I couldn’t finish the last 15 minutes. I just couldn’t. My teeth are off the charts white. They look fantastic. In the color mold that they had, I moved all the way up to the first tooth – the best one. They showed me and it did look great. It really did, but I will never do it again. Truly! Post-treatment includes using sensitive toothpaste for the rest of my life (or I am told). I am just so UPSET about this whole thing. When I woke up in the morning to take my cup of iced tea, I got zinged again. I almost dropped my glass because it caught me by surprise. If I knew that I would make myself so sensitive, I truly would have just gotten a cleaning and skipped the whitening. OR I would have used whitening toothpaste and strips. I was told that I can do trays now which I was considering, but friends said those hurt as well. I’m officially out of the teeth whitening game. Not for me! I will stay with my regular colored teeth and live a very long and happy (pain-free) life. I’ve had three babies – one c section and two VBACS. I know pain. I don’t willingly sign up for pain. Especially when it’s cosmetic and completely nonsens-ical. Starting in December or January, I’m going to look into teeth whitening toothpastes. Those are slow acting and more manageable. No more whitening dentist appointments for me. Those are a thing of the PAST. 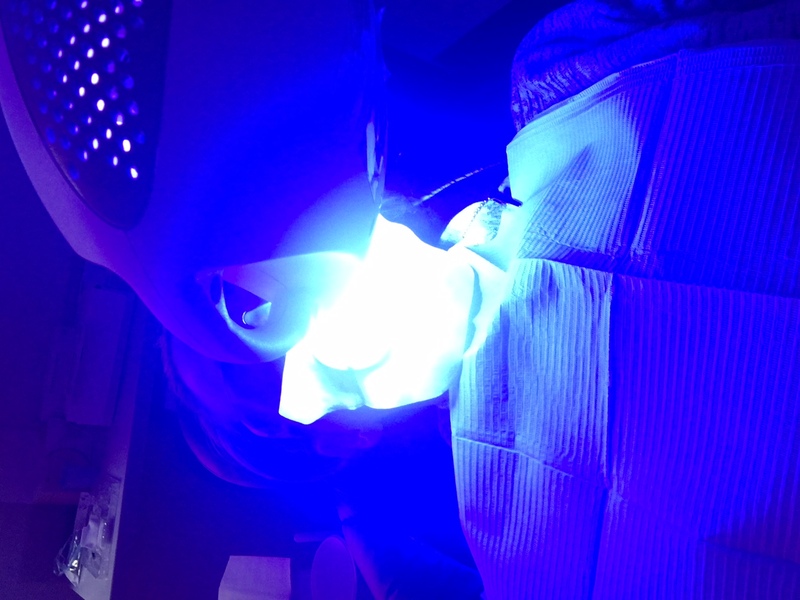 Have you ever had your teeth whitened before? What did you think?